I always wanted to see Phi Phi after reading so many amazing reviews and great things about the islands and hearing one of my friends talking so highly about her home country. Thailand is a great country with plenty to see and to discover. I am so glad that we went and experienced this wonderful part of the world. 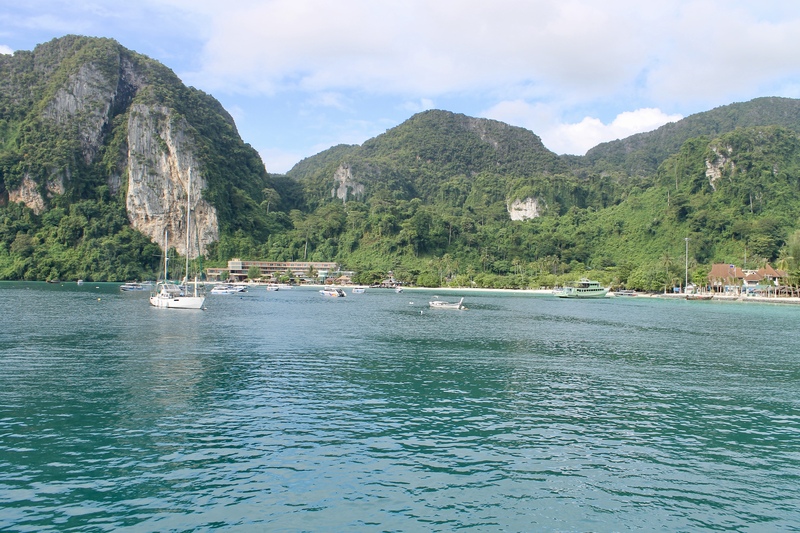 After traveling for so long we finally arrived to Krabi and took the ferry to Phi Phi. The way to this island was long and with beautiful views; we went with Phuket Ferry and it was very easy to book online. We arrived at the Tonsai pier and someone from our accommodation was waiting for us and he wanted to port our luggage on his trolley, we insisted that it was not necessary but he managed to convince us that it was ok and he would see us in the lobby of the “resort”. We walked a long way through the small passages full of shops and restaurants which were very busy. We were really amazed with what we were seeing and loved the simplicity of this place. We finally got to Papaya Phi Phi Resort and the receptionist was very nice and explained the breakfast system to us. They would bring breakfast to our room because there is no breakfast area and it was actually not really needed as you have a balcony and you just sit outside to enjoy the view. The room was nice and clean and I loved the location! We left our accommodation and walked all over discovering different sights and of course went for a swim, it was incredible how far you can walk into the sea during low tide. The only thing that deeply affected me within all the beauty was to find all the plastic laying around after every night. I will never understand how people can be so careless and so inconsiderate to nature. You could still see the damage from the tsunami and how the island is still trying to regained its glory but with so many of us around it is very difficult for nature to recover in a faster way. 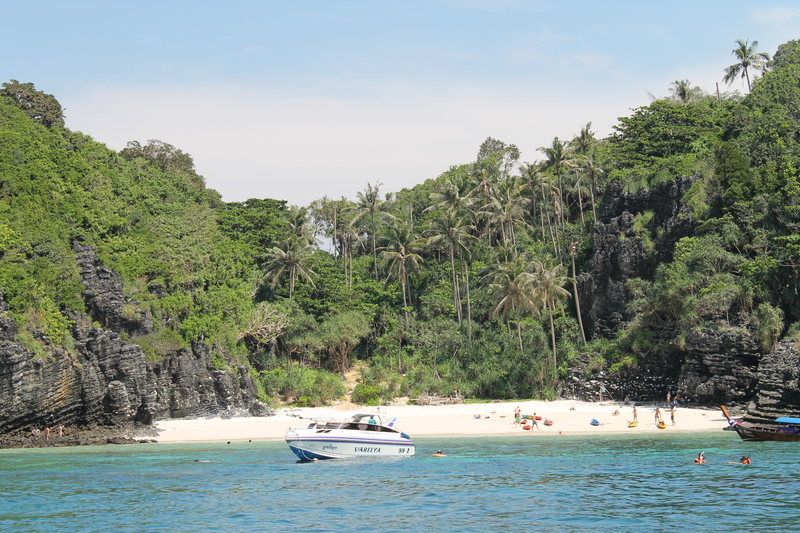 In Phi Phi you can book a day trip to the neighboring islands, one of which is Monkey Island. 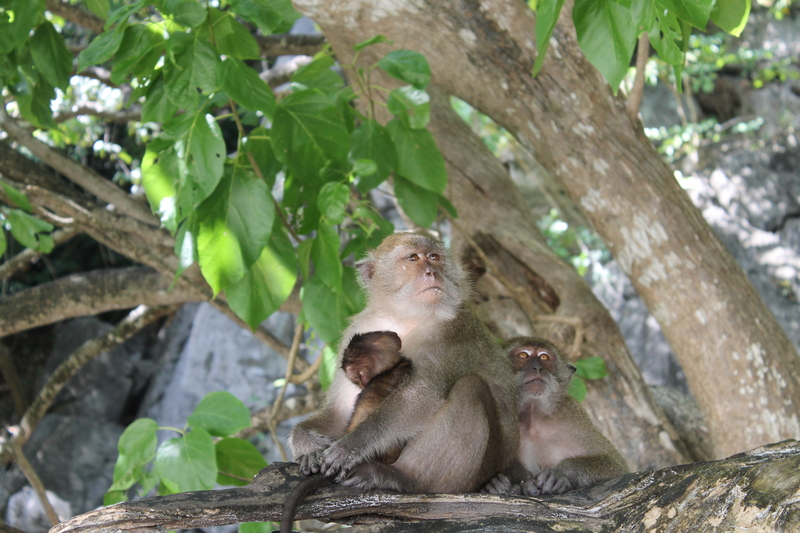 The monkeys are all over the place but I had to face again the poorly and badly educated Australian tourists giving cans of coke to the monkeys, absolutely disgusting to see 🙁 Another place is Maya beach which is very beautiful but incredibly noisy because the long-tails boats. With the boat we booked we also got to see Mosquito Is. among others. You can also go to Phi Phi Viewpoint and take the picture that everybody is looking to take so we did the same. Food… I absolutely love Thai food and nowadays it is part of our menu at home. We went to a noodle stand twice and their Pad Thai is the best I’ve eaten in Thailand (unfortunately I do not remember the name of the place) and for the rest you just eat whatever you find as everywhere you go the food is fine. 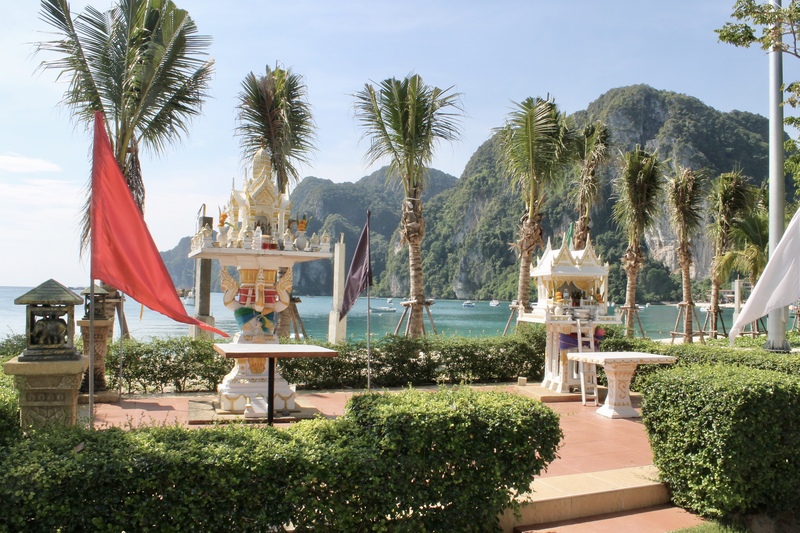 We did really enjoy our time in Phi Phi and were happy to have had the chance to have seen it!